Communique offers two of the best selling premise based UC telephone systems, ShoreTel and NEC. We also offer Cloud based IP systems, such as ShoreTel Connect. We strive to provide our customers with communication platforms from market leading manufacturers with established market share and innovative technologies. With superior communication platforms, we can design and build excellent applications to benefit your business. Communique is an Authorized ShoreTel Partner and brings years of telecommunication experience to this new generation pure IP telephony. ShoreTel’s unique architectural approach to IP Telephony delivers a user interface that sets the standard for ease of use. The ShoreTel distributed architecture is ideal in a multi-site company, or for operations demanding a high level of desktop productivity applications available through the tight integration with Microsoft Outlook. ShoreTel Mobility allows our customers to integrate employee Smart Phones into their enterprise phone system. Our certified sales and installation staff will design and implement a customized ShoreTel IP phone system to meet our customers’ requirements. 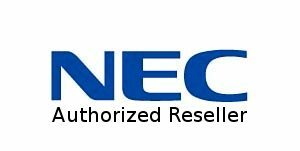 Communique has been an Authorized NEC Reseller for over 20 years. Many of our design engineers, sales representatives, and technicians have been selling and supporting NEC products for over 25 years. NEC is the worldwide leader in the enterprise telephony equipment market. We offer a broad range of NEC UC products, including the SV9100 hybrid.